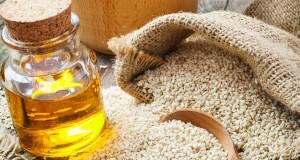 Sesame oil is one of the oldest known oils of the world, which for ages was used in regions of Middle and Far East. It has many properties, that make it not only suitable for ingestion, but also for conditioning. It can be used as a hair, body or nails oil. Who should be interested in properties of sesame oil? For whom it’ll be the most suitable? Sesame oil – for what type of skin? Cold pressed cosmetic sesame oil is a preparation mostly for dry, combination and mature skin. 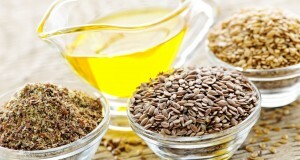 There is a good reason for use of sesame oil mostly in creams for dry and sensitive skin. It is connected to properties of this vegetable extract, which slower ageing processes, significantly improves blood circulation in skin, regenerates and restores damaged cell structure, reduces free radicals, tones and of course protects against UV radiation. Because of it, sesame oil is a great solution for people with mature, problematic, sensitive and dry skin. Sesame oil – for what type of hair? 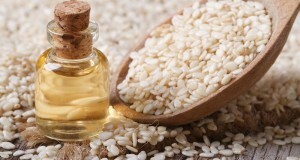 Sesame oil is equally often used in hair care, because it provides them with rejuvenation and vitality. Regular use of sesame oil on hair makes them thicker, stronger and more liable to combing and styling. What is more, it tones skin that is why it cleanses scalp greatly, prevents excess sebum secretion and restores natural pH. Sesame oil is great for girls with problematic, dry, frizzing, oily and high porosity hair. 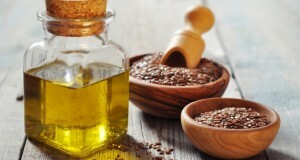 Sesame oil – who shouldn’t use it? Sesame oil can be strong allergen – people allergic to sesame shouldn’t use it. You may want to make a sensitize trial before application. Sesame oil isn’t recommended for people with spider vines, because this oil has warming properties and can magnify issue and cause skin irritation. Sesame oil isn’t good solution also when it comes to inflammations and atopic eczema.